In an article on 09 March 2016, Justice Brewer was described as saying that if he’s forced to adjourn a murder trial involving a Taupo toddler, he will be calling for an inquiry into New Zealand’s forensic and pathology system. This was in response to a defence lawyer indicating that he had had difficulty instructing an independent forensic pathologist to review the findings of the Crown-instructed expert in addition to Justice Brewer’s previous experience of similar issues in other cases. I was called by a journalist from the NZ Herald the same day and asked for comments (“Forensic shortage irks judge”). The story indicates that I am a forensic pathologist. I am not, and I have asked the Herald to correct the error. The main point of this post is to indicate that New Zealand is deplete in certain types of experts. We are a small country and there are few independent experts. My understanding of the Coroner’s forensic pathologists is that at least four have left the Forensic Pathology Service (FPS) for different reasons over the last year or so. However, as I indicated to the journalist, “It takes a lot of training and you have to be a certain type of person to want to do [forensic pathology] but I honestly don’t know why they haven’t filled the apparent gap.” This is true – I don’t know, but that is because I am not the right person to answer that question; as I suggested, this is a question best asked of someone in the FPS. 1. Independent forensic pathologists are not readily available in New Zealand. By independent I mean those who are not employed by the Forensic Pathology Service (FPS). That does not mean that those employed by the FPS are not independent in their opinions. FPS pathologists can and do/have undertake reviews for criminal defence lawyers but it depends on whether or not they have time to do it and want to do it. 2. Part of my role is to source independent experts for lawyers (largely criminal defence). 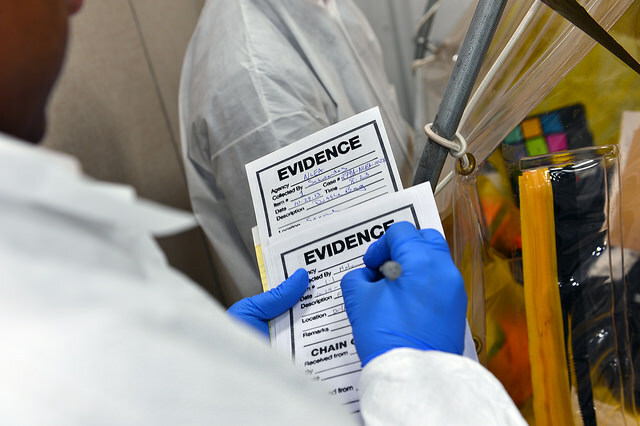 Forensic pathologists are not necessarily difficult to locate (although they can be) – we have several options but none of them live in New Zealand. 3. Forensic pathologists tend to be employed fulltime in a forensic pathology role. This means that if they want to undertake independent work (such as a for a defence lawyer) they are often fitting that work in around a fulltime work commitment. This further means they need time to be able to assess a case, provide a cost estimate and then do the report. With less forensic pathologists working for the FPS, this can put pressure on those remaining, which means they do not always have time to undertake a review for a defence lawyer. This is part of the reason why we have to go overseas. 4. Most criminal cases requiring a forensic pathology review are for serious criminal charges for which most people are eligible for Legal Aid. Given sufficient time, Legal Aid usually funds forensic pathologists and similar experts from overseas as long as a good argument can be made about why an overseas expert has to be instructed. The time required for that has to be built into the case planning – and an expert has to be located before Legal Aid can be approached for funding. 5. In my experience, the most difficult cases for which to locate experts are often those involving very young children or babies. Often a team of experts was involved in either treating the child at hospital or examining the child after death: forensic paediatricians, forensic pathologists, forensic neuropathologists, forensic neurosurgeons, forensic ophthalmologists (to examine the eyes), forensic radiologists (to examine x-rays and the like) – the list can be longer. 6. Locating and instructing forensic paediatricians, radiologists and ophthalmologists is time-consuming and difficult, requiring making extensive enquiries overseas. Many potential experts do not want to get involved in reviews for the criminal legal system because they do not like working in the forensic setting; for others there may be areas of contention such as the issues that have arisen in the past from interpreting injuries in allegations of ‘shaken baby’ cases. 7. Overall, it is usually possible to find suitable experts to review findings for a criminal defence lawyer but it does take time and, very occasionally, we have not been able to do so. Thanks, Anne. I have been ill so will put my poor grammar down to not feeling well!